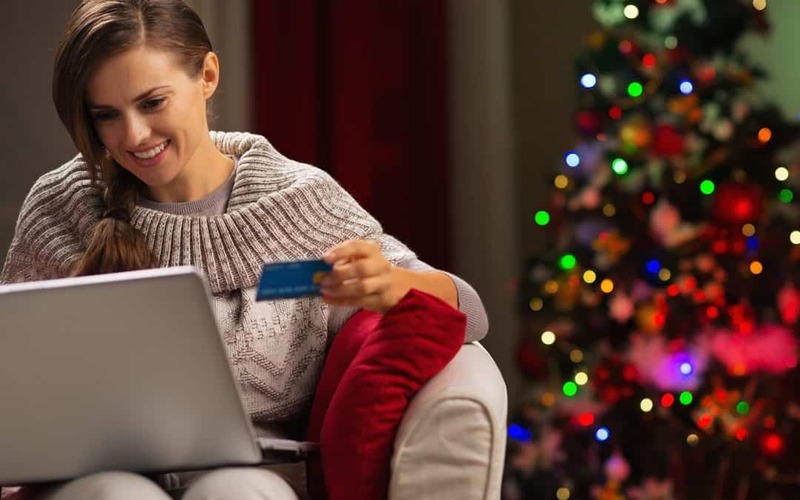 The year-end holidays are naturally a time of fierce competition between ecommerce brands, so investing wisely in effective paid search traffic can help to your campaigns deliver higher revenue while attaining a desirable ROI. In other words, this last stretch of 2016 is the most important time of the year to focus on paid digital campaigns. Doing so not only helps you capture Holiday traffic and gain higher conversion rates, but it can also help you segment pro-actively and define a more niche target within your relevant vertical. When done right, your revenue reports will be smiling as will your happy customers and their beaming gift recipients. Getting ready early matters a whole lot too. Studies show brands that are able to have their holiday advertising campaigns in place 45 days before a major calendar event can capture a full 90 percent of the related search traffic. Benchmarking is incredibly important when trying to develop a strategy, especially one that entails a well-defined budget. To start, review the performance of your current paid search, paid social and display campaigns over the past four months. Then, go ahead and take a look at last year’s Holiday traffic and efforts. For the most part, this information will reveal where your particular strengths and weaknesses are. Your goal should be to maintain strengths while deciding which weaknesses are most worth fixing. Keep in mind that your middle-of-the-pack performers are likely to benefit most from optimization changes. In addition to researching your own past trends, you may also want to take stock of trending products in general. Google Trends can be your best friend and confidant within this task since it reveals year-over-year growth in search volume interest along with relevant search queries that point towards more specific interests. For instance, search volume for the character “Olaf” from Disney’s Frozen, spikes during December but has tapered off quickly, whereas searches for “Elsa” have remained more flat despite a consistent decline. Data like this could inform stocking benchmarks for relevant merchandise. Once you have your baseline research in hand, you can develop a strategy for this year’s big Holiday traffic push in response to questions you may want to get answered. How do you improve top-performers by a certain percentage? What approach will you take to reclaim conversions for a popular product category that seem to go to your competitors? Do you want to increase order value as a whole? These goals will naturally define the metrics that become your KPIs. Make sure to prioritize cross-device sales as well. Traffic and purchases made on mobile topped tablets last year, emphasizing the need for mobile-optimized campaigns and cross-device tracking strategies. Your campaign keywords should touch on hot-selling product names as well as generic holiday descriptors like “great gifts for Dads.” Use historical data and try to expand your keyword reach with Google Trends searches. One helpful trick offered by Google lets you cross-compare your current keywords list with last year’s to make sure you didn’t miss anything. Run a keyword report for last year for all conversions greater than zero, cross-reference with your current list, and then broaden your match types. Voila! So-called “doorbusters” cause people to sometimes literally bust down doors for one reason: the perception of urgency. These deals come and go, leaving people who would normally fall into the “wait and see” crowd foaming at the mouth to act NOW! The first strategy mostly relies on returning site traffic, so if you have a Black Friday reveal countdown of some sort, you are going to want to prioritize impressions and website visits over actual sales conversions during the countdown period for that campaign. The latter strategy relies on researching your competition, coming up with the right combination of promotion and ad copy and finally serving that ad to the correct audience. Both strategies are absolutely viable, but only as long as the deals remain “fresh” and maintain that sense of urgency. Therefore, we highly recommend that you implement a series of intensifying price drops or rolling temporary promotions in the long lead-up to the Holidays. These calendar-based promotions will keep your paid ad strategies diverse, current and relevant. You should maintain ongoing product campaigns or consistent deals in the meantime, but successful ecommerce brands give people something worth getting excited about about at least several times during the shopping season. With your KPIs in mind, you should look to your promotional calendar and split your budget up into discrete promotional periods for each one. These individual campaigns may add up fast, so keep your expectations reigned in with an overarching budget, or break up promotions into larger category groups to control your budget as a whole. Part of your budget should involve deciding how to split devices, with an emphasis on mobile and tablet campaigns since these draw significant traffic. You must also decide how long or short to set your conversion window within AdWords. A longer conversion window allow you to track purchases (or your targeted action) within a longer set of days after a click. As CPCs increase during the inevitable Holiday AdWords arms race, you will want to ensure that you are tracking the right metrics to determine if your ROI has been worth the typical bid price for a click. Even with moderate performance, you may decide that long-tail keywords are a better investment considering how many competitors are trying to shout to be heard for a hotly contested keyword. At the same time, your budget should have flexibility, meaning that you should be prepared to weather periods of high CPCs but low sales in order to get through the season’s natural peaks and valleys. Of course, you don’t want to burn through your budget with campaigns that do not convert. So set KPI alerts for conversion rates or page visits. A sudden drop could indicate a major problem with site connectivity or displaying your promotion as intended. These design elements offer instant gratification to users and allow them to quickly gather important buying information. To increase your search result real estate, you should understand how to write ads for Google AdWords. This means taking advantage of the expanded ad copy format. The new format allows you to provide your potential customers with more information about the products you are selling. This will help to capture more of the holiday traffic. In addition, eCommerce companies should use the price extension. It allows to display a product price right next to the ad copy. This information helps ensure that a click means a likely purchase, lowering your CPC while increasing your conversion rates. Keep in mind that you can test performance for extensions or expanded headlines and compare them to other campaigns running at the same time. This practice will help you make optimal decisions. Symphonic Digital has years of experience helping ecommerce and online brands broaden their reach, boost revenues and improve conversions all with a close eye on your ROI. Let us help your brand be everyone’s favorite Santa this year by taking advantage of our digital marketing for ecommerce services. Time is running out, so contact us today to get your holiday campaigns in ship shape in time for the bulk of Holiday traffic!